How do you cook your greens? Which method do you prefer? 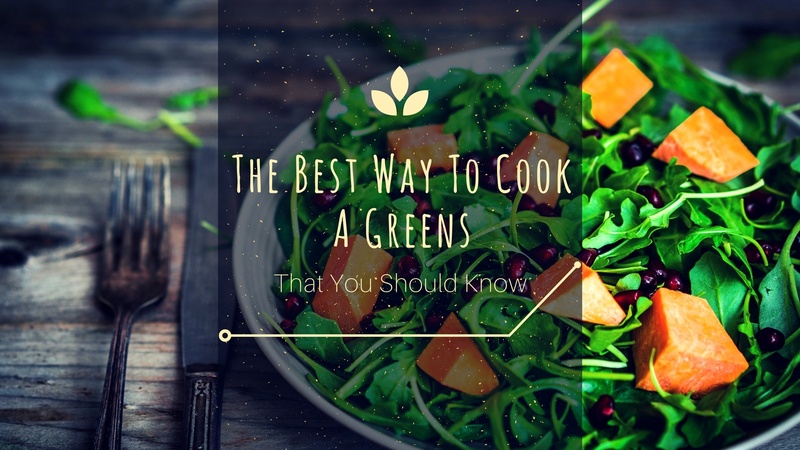 The following information can help you with the best way to cook a greens. There are various types of greens. 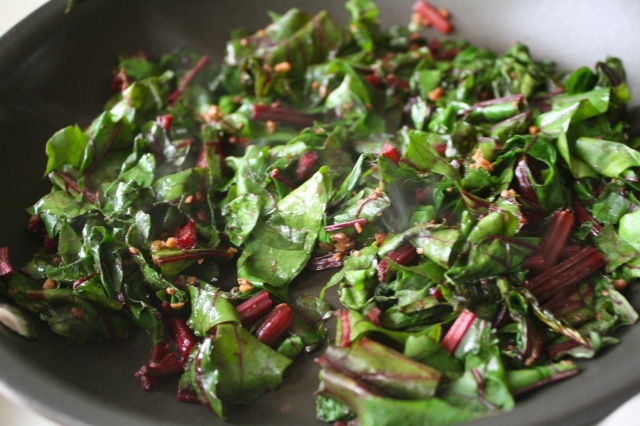 They include the spinach, collards, beet greens, the amaranth, dandelion greens, and many other greens. These greens can be chopped and added to salads, soups, and grains. Some of these greens taste bitter if served raw. The texture may be too tough to chew. The steaming may intensify the bitterness of some of these greens. 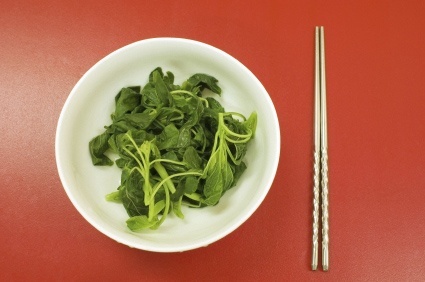 You can cook the greens in the liquid so as to disperse the bitter flavor. The Following Are Some Of The Greens With Their Recipes. 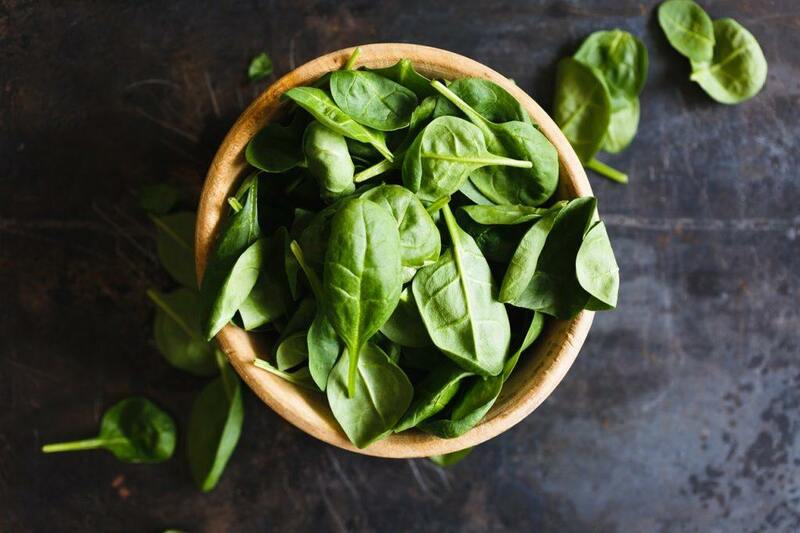 These Greens Can Help You With Calcium And Your Digestive System. They can be cultivated or wild. They are from a common lawn weed. The leaves are pale green with saw-toothed edges. They are best before they flower. These leaves have a bitter taste. The dandelion leaves sold in the market have been grown for consumption. They are from the top of a root vegetable. You may buy it attached to the beets. The most nutritious leaves are long stemmed, green, and large or can greenish red. They are best when young. These greens taste like spinach. They can be served steamed or fried. They are best when young and tender. They grow up from a central axis. The leaves are attached to long and inedible stalks. The taste is a cross between kales and cabbage. For those who enjoy a bitter taste, you try this leaves. They can serve in a salad or sautéed to be used with other meals. The following method shows how you can easily sauté these leaves. Soak the leaves in a bowl of cold salted water for about 10 minutes. Then drain them. Boil water with salt in a large ﻿pot. Cook the dandelion leaves until tender. This can take about 5 minutes. Drain the greens and rinse with cold water. Heat the butter and olive oil in a big ﻿skillet over medium heat. Cook and stir the sliced onions and the red pepper. Wait until the onions turn tender. This will take about 5 minutes. Add garlic and stir for a half a minute. Increase the heat and add the boiled dandelion leaves. Cook and stir until the liquid evaporates. This will take about four minutes. You can season with black pepper and salt to taste. Sprinkle the dandelion greens with parmesan and then serve. The stems can be removed or cooked together with the leaves. If they are too hard, just remove them. If tender, cut them into small pieces and add them to the cooked onions. Rinse the beet leaves with cold water. Drain and rinse them again. Drain leaves and chop the stems away if they are heavy. Chop the leaves into small pieces and set them aside. Cook bacon fat on medium heat. Add the onions and cook for about six minutes over medium heat. Stir until the onions are tender and turn to brown. Add garlic and cook for a half a minute. Add water to the pan; stir to loosen any particles on the bottom. Add the sugar and the pepper flakes. Then boil. Add the greens and toss gently in the onion mixture. Ensure that the greens are well coated. Reduce the heat and cover to simmer. This will take about 10 minutes or until the beet greens are soft and tender. Add vinegar as you stir. The greens are ready to be served! Wash the leaves and drain the excess water. Remove the stems and cut the leaves into small pieces. ​Heat the oil and fry the crushed garlic over low heat. Stir until it turns color to pale golden. ​Increase the heat and add the amaranth. Use a spatula to toss the greens until they wilt. ​Add sugar and the oyster sauce. Cover and allow the greens to steam. This should take about two minutes. Combine the cornstarch and small amount of cold water in a bowl. Stir and pour into a pan and let it boil as you stir. Combine the starch with the greens. It is ready now. You can serve with a meal that goes well with this. Enjoy! Boil the water with ham hocks in a large pot. After the water has boiled reduce the heat so as to simmer. Add the peeled garlic cloves and cover. Simmer for two hours. Ensure that the ham is well covered. Wash the collards with cold water. Remove the stem with a knife. You can also strip the leaves off the stem with your hands. Put the collard leaves together and cut them crosswise. Use the tongs to remove the ham hocks from the water. Put the collards to the water and put it back to simmer. Cook for about 45 minutes for the chewy collards. It should be partially covered. Shred the meat from the ham hocks and throw away the rest. Sauté the onion in the bacon fat. This should take about 15 minutes or until the onions are soft and glossy. To the onions, add the meat pieces and continue to cook. For some few minutes. Set aside and wait for the collards to be ready. 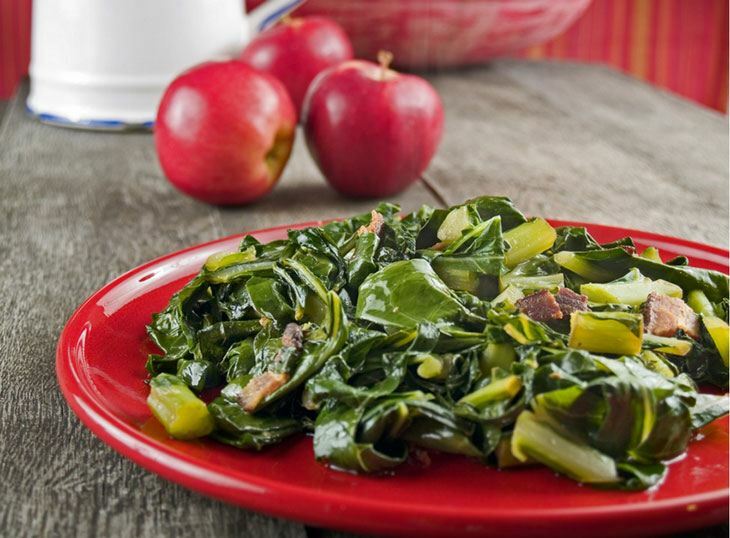 Transfer the collards to the pan with meat and onions. Continue to sauté the greens until they all blend. You can splash in few ladles of the cooking liquid to moisten the greens. Add salt to taste. You can add freshly ground pepper. 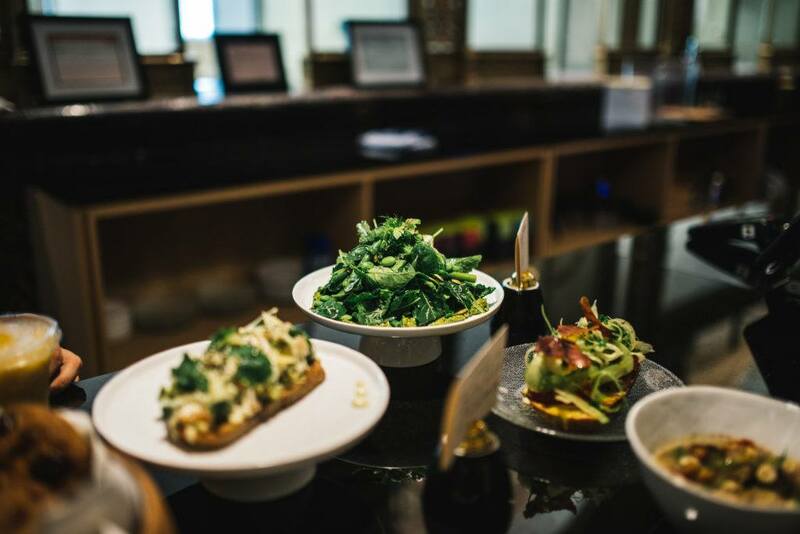 Now you serve the greens and enjoy! Heat the olive oil over medium heat. Add the spinach and cover for about 5 minutes. Add the garlic and cover five minutes more. 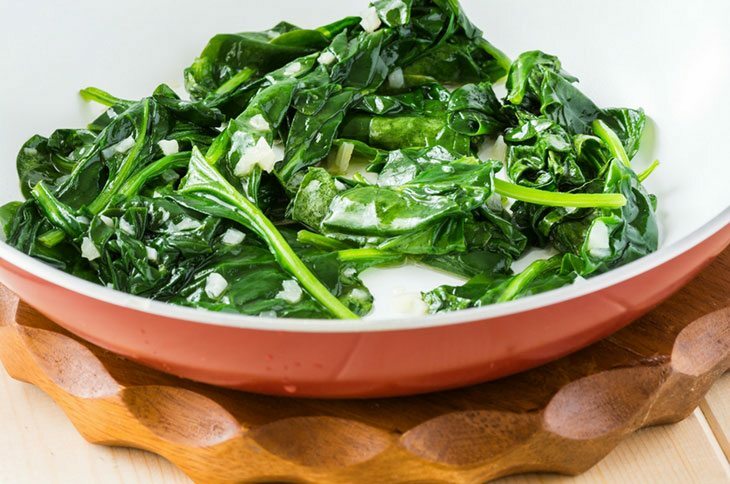 Remove the spinach from the heat and sprinkle with parmesan cheese and then serve when it is still hot. It can be used with any meal. The above are some of the ways that you can cook different greens. Before you cook, ensure that are clean and remove the stems or chop them into small pieces. Wash the greens with cold water. If the greens are used for salads, dry them. Greens for cooking should be drained off the excess water. 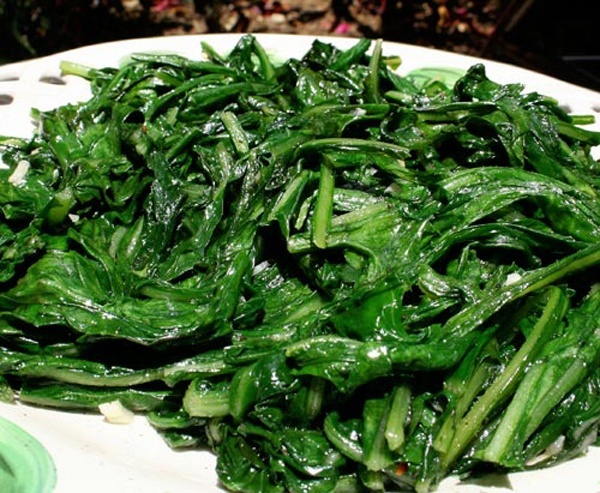 Do you have an easy recipe on how to cook particular greens? Did you enjoy reading the above information? Please feel free to share and let us know what you think in the comments section. You can also share the information with your friends.